PuraTHRIVE™ Liposomal Turmeric acts as a powerful antioxidant that can support the body’s natural inflammatory response. Through patented delivery technology, our unique blend of full-spectrum turmeric is easily absorbed and may help to maintain healthy joint function. 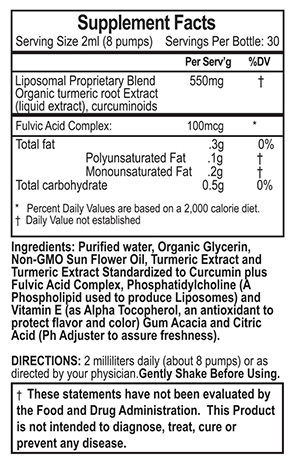 PuraTHRIVE™ Liposomal Turmeric is 185 times more absorbable than turmeric in its natural form5. Our patented Micelle Liposomal Delivery protects the turmeric from breakdown in the digestive tract, delivering a powerful, soothing dose right where you need it. Millions of people are short of pocket but still suffering from unnecessary pain, discomfort, and potentially even an increased risk of chronic disease. We think that needs to stop. That’s why here at PuraTHRIVE™ we’ve carefully crafted a unique supplement to properly support the natural anti-inflammatory processes in your body. As well as supplying you with high quality, organic, full-spectrum turmeric, we’ve taken extra precautions to ensure none of that precious substance is going to waste, and you get the most potent liquid turmeric supplement available today. 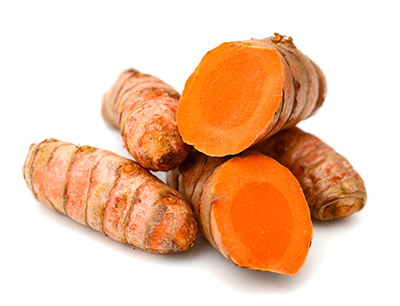 Turmeric has a long history of medicinal use, dating back 4000 years. 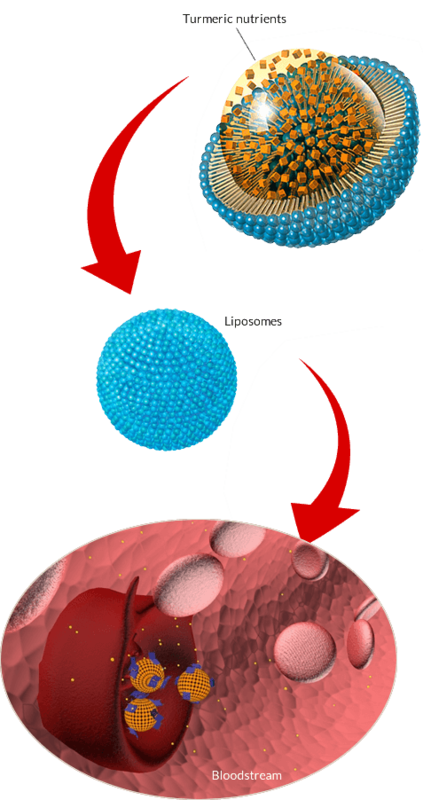 More recently, the science world has caught up and numerous studies have linked it with heart health, detoxification, joint maintenance and a healthy inflammatory response.3 6 7 9 Our patented liposomal delivery technology protects the turmeric peptide from breakdown in the digestive tract, delivering a powerful dose right where you need it.